Lately AI has been making waves again albeit it is of the ominous kind. Researchers are making tons of breakthroughs. The world’s most powerful governments and military forces are investing heavily in it, and it has become something so tangible that the world’s brightest minds have found themselves divided about it. While the likes of Bill Gates, Stephen Hawking, and Elon Musk are wary about AI, Yahoo! CEO Marissa Meyer, researchers at Google, and the public at large are absolutely thrilled by the idea. We take a look at what the hullabaloo is all about. Any smart device can become “smarter” with the right app (like what you see here). For example, you can turn your smartphone into a key for your car, home or even a sensor with the right app and and/or an accompanying gadget. However, these do not qualify as “intelligence” at all –they are merely a set of instructions that rely on human input (instructions) in order to come up with an output. “Artificial intelligence” was coined by Stanford’s John McCarthy at a conference in 1956. Artificial intelligence involves developing computers that can “think” independently – computers that act intelligently and perform functions normally done by man. But more importantly AI is a technology that learns by itself. In August 2014, news report about an AI that learns like a toddler made rounds in the tech news world. 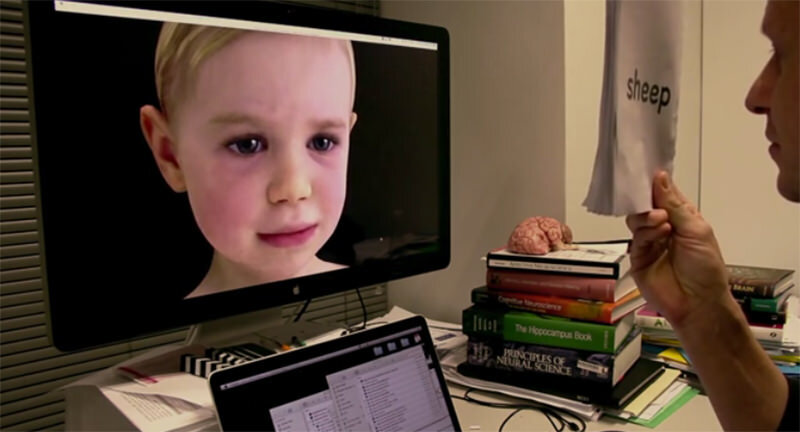 It can learn in real-time and can mimic people’s facial expressions. It also “looks” like a toddler – and I’m not sure if that makes it less or more creepy. Cortana, Microsoft’s answer to Siri, made use of its research on speech and language, allowing the app to participate in back-and-forth exchanges with users on their mobile phones. IBM has Watson, a powerful intelligent system which became popular for beating a Jeopardy! champion in 2011. Google is also working hard on “developing algorithms with the capacity for logic, natural conversation and even flirtation.” The algorithms, called “thought vectors,” are supposedly being geared towards achieving a level of reasoning and logic comparable to that of human beings – AI with common sense, if you will. Then, there is Emily Howell. “She” is an AI that has a knack for composing music and generating controversy. Can an artificial intelligence have its own style of music? According to the Professor who developed her, David Cope, apparently, Emily can and does. In a recent research made public by Google, artificial neural networks can dream, though they don’t dream of electric sheep. Well, “dream” in this case is used with great freedom, since AIs don’t sleep at all. But how it works is about the same. The images above were generated by Google’s artificial neural networks. Basically, the researchers loaded the networks up with images to train it to distinguish one image from another. And in the process, it generates images of what things should look like or at least what it thinks they should look like. Talk about Inception. Obviously, a ton of work is being put into artificial intelligence because it provides a number of invaluable benefits to society. AI ensures precision and accuracy, eliminating probems possibly caused by human error. AI can be used in mining, ocean explorations, and even space missions that may be too dangerous for humans to attempt. AI can take care of repetitive, time-consuming work much more efficiently than humans could, without needing to stop and rest. Because AI operates on logic and not emotion, one can count on it to always make logical, unemotional decisions. AI serves as an effective educational/training tool, particularly for highly specialized professions such as doctors and pilots. AI can also be used to expedite research in different fields, particularly those that require complicated calculations. 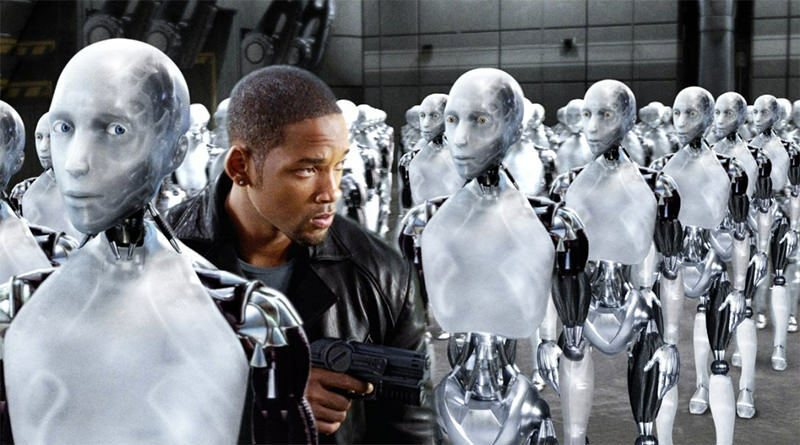 Sci-fi writers and movie makers have already shared their visions on what AI could be like in the future. On television, AI opens up the stage for plenty of foreboding discussions for instance, Person of Interest ponders the possibility of humanity building AI that can eventually surpass it and monitor everything it does, Battlestar Galactica takes the concept of AI being integrated into society and explores the theme, while Caprica deals with a combination of AI, virtual reality (VR), and robotics concepts. In movies, AI play a significant role in society in The Avengers, Transcendence, I, Robot, The Matrix as well as in games like Halo and Mass Effect. Come to think of it, isn’t the very idea of competing against a computer-controlled opponent a way of applying AI in a real-world setting? And of course, just like everything else in the world, no one is really paying much attention to applying these rules. Which makes even the brightest of minds worry about the future of AI. But it’s not just simple AI they’re afraid of. They are specifically talking about superintelligence, a type of intelligence that surpases that of humans in every way. Perhaps Nick Bostrom of the University of Oxford’s Future of Humanity Institute sums it up best in his book Superintelligence: Paths, Dangers, Strategies. Only time will tell whether AI upon reaching its full potential will continue to serve and work with humanity towards the development of a better world. Imagine a world where hunger no longer exists, where previously incurable diseases can be cured, and where formerly complex probems can be solved in the blink of an eye. It all depends on the repercussions of man’s attempts at playing God in his own little technologically-charged playground. Let’s just hope we’ll end up with a Wall-E and not an Ultron.